I’ll admit: I love our adventuresome bartenders. Want to smoke a drink? I’m all for it. Using obscure Italian amari or other international bottle from the back shelf? Bring it on! But, I also adore the classics, and nothing is more a classic than the Martini. I have mine with gin, of course, and a twist, and like to have them in a spot where the atmosphere matches the drink’s long history. The below four fit the Martini bill perfectly. 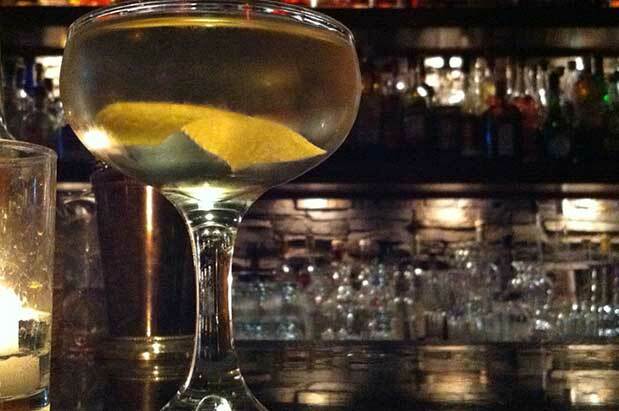 For years – and for many, still – it's the place to have a Martini in Seattle. Oliver’s in the Mayflower Park Hotel is legendary. And the legends are justly deserved, as the classy hotel bar nature is nearly as essential as the drinks themselves. It’s been around since 1976, was Washington state’s first daylight bar, and has won numerous awards for its Martinis, including winning the International Martini Classic Challenge eight times. Oliver's makes its classic Martinis with Bombay Sapphire gin and serves them with its own drunken olives. Admittedly, the Rob Roy is one of the finest places in town to go for any drink. But the vaguely 1950s (even when the wall art is more modern) lounge vibe Rob Roy has, especially early in the evening -- before the crowds come in -- make it an ideal place to have a Martini. The lighting is low, there’s a boar's head on the wall, and the bartenders are tip top. The gin selection is vast, too, but I say let the bartender pick yours. I did that recently and had a wonderful number with legendary London dry gin Beefeater. He also added a dash of orange bitters, which is very old-school Martini indeed. You may not think classic cocktails right away when you think of 13 Coins (its all-day breakfasts that come to mind). But on Mondays, its Happy Hour drink special is a traditional Martini made with Boodles gin. Boodles is one of my favorite British gins, a “proper British gin” as they say, with a strong juniper flavor mingling around other botanicals. Having a Boodles Martini (definitely go lemon twist with Boodles) in one of 13 Coins old-school booths is quite a treat. While the atmosphere’s a little more bustling -- as you would expect down on First Avenue -- for those working downtown who want a Martini over lunch (as most fine people should), it’s a great spot. It also still serves a dandy classic Martini for only $5 – a sweet deal. But I suggest going up to $7 and having it with its housemade Junipered gin, a secret house blend of herbs and spices, which adds more flavor, maintaining a classical bent while delivering a little signature style.